The recipe that I’m sharing with you all today hardly qualifies as one. 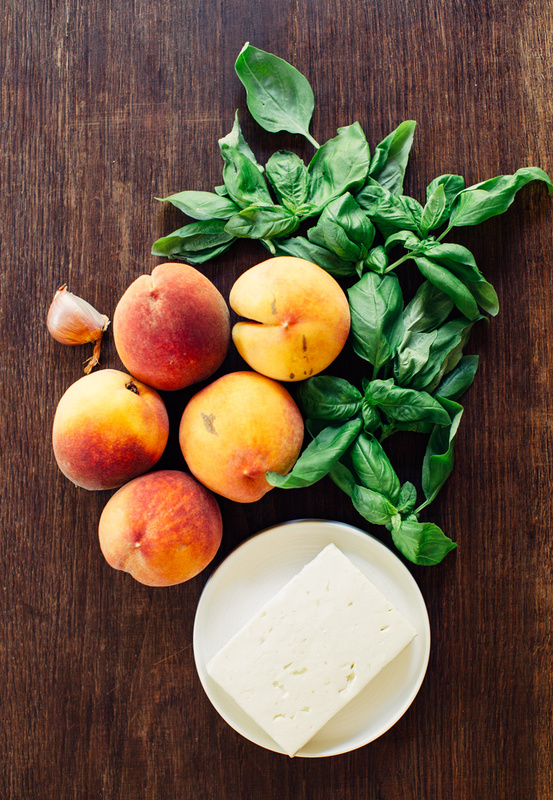 It’s less than a handful of ingredients that when combined transform simply into summer on your plate. Sweet, juicy, tart, tangy, fragrant, intoxicating summer. I’ve talked a little bit about my love for peaches here and looking back at my most recent posts it’s pretty obvious that they’re front and center in my life right now. 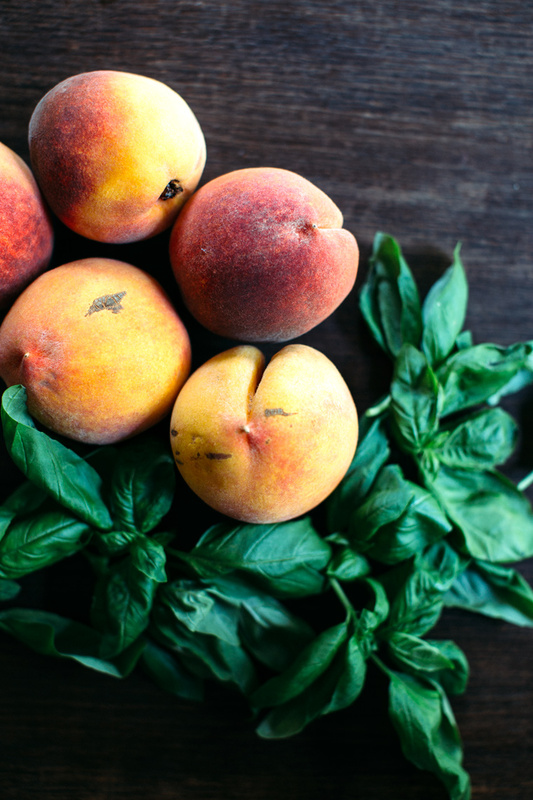 I hope you guys don’t mind my peach obsession and are celebrating this season’s fuzzy, sweet fruit along with me! Slice up the washed and dried peaches. Finely chop the shallot. Crumble up the feta. Chiffonade the basil. Toss it all together in a big bowl, give it a few minutes so the flavors to marry. Serve or eat right out of the bowl! 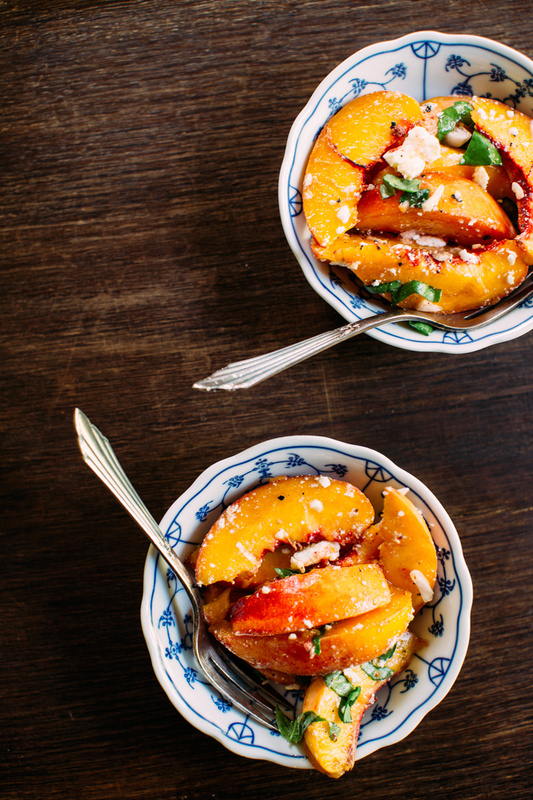 This makes me want to rush out and buy a bunch of peaches right now! Holy smokes! I have ALL of these ingredients right now. I love when that happens. This looks great! I don’t mind your peach obsession ONE BIT! 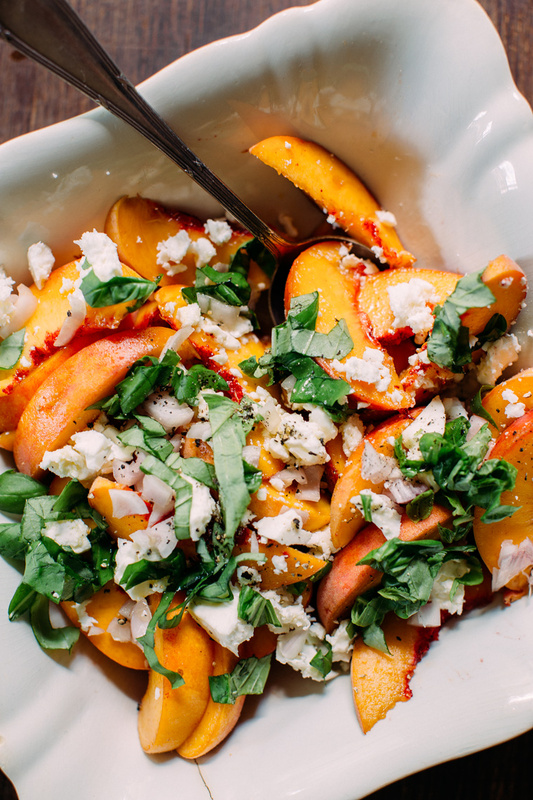 I love how simple and delicious this salad is, everything that summer should be <3. 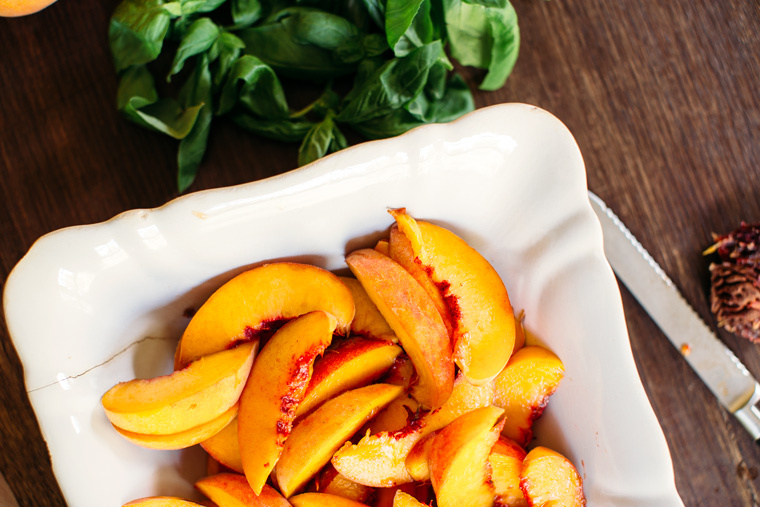 Hope you are staying cool and enjoying loads of these yummy peaches girl! 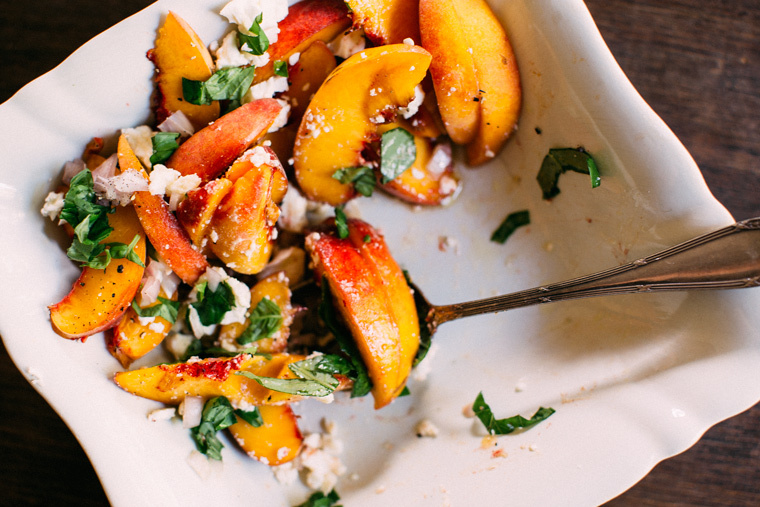 Simple recipes are the best, especially when sweet juicy peaches are front and center! 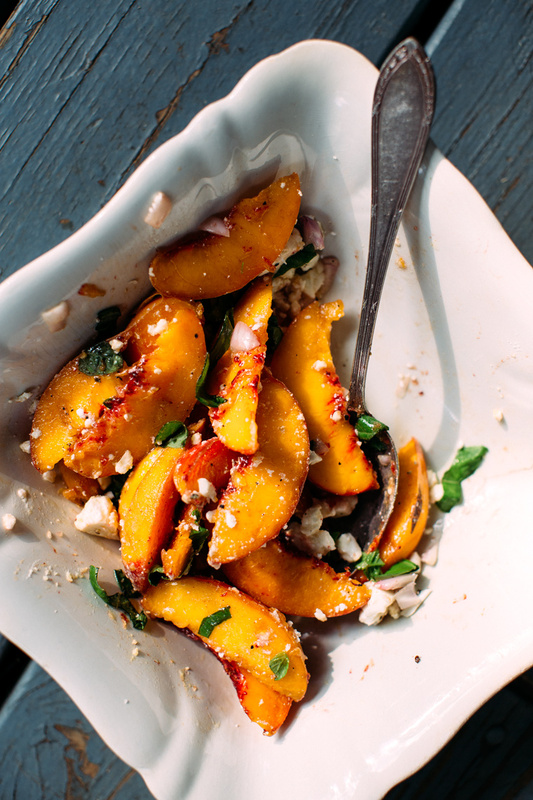 Love the shallot and basil in this salad!